Even though success is the dream of everybody not everyone attain success in life. As a matter of reality, success just don’t fall on our lap, it comes as a result of focus, determination, passion, hard work, self-motivation and learning from smart people ahead who are ahead of you. Unfortunately, some men are not ready to go the extra mile to achieve what they want in life and make their families happy and comfortable. This 5 reasons will convince you to know why married woman deserve to have successful and rich husbands. Believe it or not every man wants to work hard and smart to achieve financial success. So, women desire for rich and success husbands is not out of place but as a result of what they go through in life. Based on this background, I call on all Men to work hard to attain financial independent in their marriage relationship. Who doesn’t want to be rich and have the good things in life? We all admire the rich and successful in society. We know how society accord them their due respect because of their financial status and wealth. Riches bring about wealth and acquisition of more property and more wealth. Which woman doesn’t want a comfortable life where everything is at her disposal without any hassle? Your wife takes more credit when you are successful and the society recognize your reputation in the community. She wants you to be counted among influential men so that she can feel proud of having you as a husband and enjoys all the privileges that come with marrying a rich man. Most men are not able to flaunt their wealth but their wives play these role on their behalf perfectly well. Family reputation associated to certain names matter to women. Some women marry from certain family because those families are associated with wealth, riches and prosperity. If you are a man reading this post, wake up and work hard to attain riches and success for your family. Your wife is secretly admiring the have and praying that you join the family of the rich and change the family status. Quality of life is affected by lack of money in the home. Women are the custodians (managers) of the home and would need enough money in order to provide the needed stuff to keep the family going. Shortage or lack of money has been assigned as one of the main causes of marital problems or disharmony in marriages across the globe. There’s virtually nothing the woman may need in the home that may not come with money. All purchases in the home can be done smoothly if there’s enough money budgeted for them. Do you know money affect the quality of food household eat, the type of clothes they wear and the kind of residence the family can afford to rent and the last thing but very important, the kind of school their kids attend. Since woman are the people who organize or do most of these things, it’s proper that they hope and pray that their husbands become rich and successful. Your wife deserve better in life, work hard to make her feel proud of you. Laziness is not in the success equation, run away from it. As a matter of fact, financial security matters to all persons whether rich or poor but the poor think less of their financial security than the rich because they assumed there is very little they can do to change their situation. Fortunately, the rich and the successful plan for their financial security by putting system in place to guarantee that but the poor only pray that nothing crops up for emergencies. However, if emergencies do happen, the poor are always at the mercies of people. Budgeting for success, prioritizing for long term goals, building emergency funds etc. engaged the attention of women hence their desires to have successful and rich husbands. Don’t get me wrong, we are facing life reality. Take it or leave it women are not asking for too much. Men ought to put system in place to assure their women and their kids that their future is secure, because tomorrow is not guarantee. The future of the kids and to a very large extent her future as well as your own future should matter to you. Have you put any plan in place to secure your own future? In the event of death, can things continue to run smoothly in your absence? All these questions should be very important to you as a man. So don’t get women wrong if they desire more good things in life. My wife forced me to go the extra mile when I realized that she wants more in life not only for herself but the entire family. When I got married, my curiosity was confirmed. My wife has been stuffing her wardrobe with clothes, dresses and shoes every week. I now understand my mother and why she does what was doing at the time. Because of these habits of buying stuff, more money means more freedom to purchase anything they want and desire for themselves. After all that’s what makes them happy in this short life. A lot of married women are struggling financially to provide for themselves and their kids because of inadequate fund in the home. Because of these sad situation, I can confidently say a lot of women are not happy in their marriages. I am not saying that money does all things we need in life but money play a significant part in our marriages. The needs and wants of women keep changing and that means more money is needed in the home to keep them moving. Make money available for them or work hard to get more money to make life better in the home. Taking care of kids is a huge responsibility and commitment. 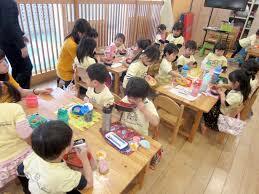 These responsibilities involved the utilization of more resources. Most women are seriously suffering to take care of their kids due to negligence on the part of some men or lack of money to take care of the home. When there’s shortcake of money in the home, kids are directly affected in one way or the other. Their education suffer and their general well-being is compromised. Women are concerned about the future of their kids and will do anything to see them realize their dreams. A lot of successful people today were once taken care of by my lovely mothers. Availability of money in the home makes it easier for women to take proper care of their kids. If this case why won’t women hope and pray for their husbands to become rich and successful. Don’t get me wrong, they deserve the best in life and not a life of struggle as most women go through in life on daily basis. We have been able to identify 5 cogent reasons why married women want rich and financially successful husbands. Their reasons are based on what they go through on daily basis and want things to change for the better so that they can enjoy happy married life. Happy Weekend. Enjoy the week and put a smile on someone’s face.